Most economists today agree that entrepreneurship is a necessary ingredient for stimulating economic growth and employment opportunities in all societies. In the developing world, successful small businesses are the primary engines of job creation, income growth, and poverty reduction. Entrepreneurship is a major source of innovation, which is considered the main driving force behind economic development and progress. Nevertheless, MENA’s entrepreneurship and business climate is severely burdened by its inefficient bureaucracy, ineffective judiciary, bloated governments as well as unstable and insufficient enforcement mechanisms. The fundamental restraints to economic success in today’s MENA entail inconsistent business and tax administration policies, rigid regulations on entry into the country, property rights, land titling and lax enforcement of contracts. Normally, the excessive formal bureaucratic procedures in any country add monetary and time costs to investors. Those exhausting procedures can also encourage investors, due to the high costs and expected low profits, to terminate their investments or invest elsewhere. The long bureaucratic processes and administrative procedures also harm start-ups and small businesses. Inefficient judiciary that fails to protect property rights and ensures the facilitation of contracts make businessmen skeptical and hesitant, which may result in low investments and influx of capital. For the year 2012, there was no single Arab state in the top twenty of the ease of doing business rank. Only five oil-rich Arab states are in the top one-hundred namely Saudi Arabia, Bahrain, UAE, Kuwait and Qatar. 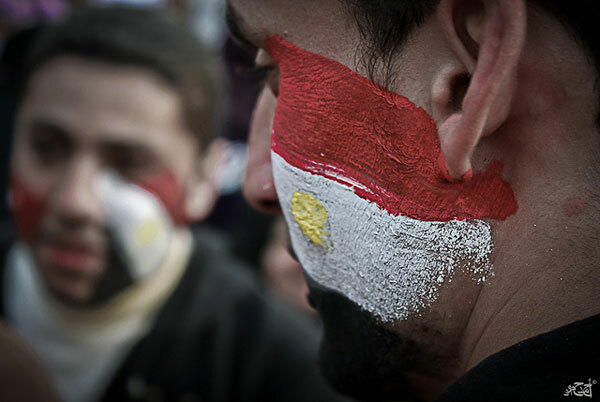 In Egypt, for instance, which in 2008 was ranked 126 out of nearly 180 countries in ease of doing business, that difficulty in accessing credit and inefficiencies of bureaucracy and low human capital development are among the main factors that inhibit the Egyptian business environment. Arab countries still impose complex administrative and judicial procedures and lack transparency in law enforcement, which prompt some investors to resort to extrajudicial to solve their problems more speedily, even if the cost involved are higher. Middle Eastern regulatory reforms on business entry and exit, contract enforcement, access to credit and labor have lagged behind of those of the rest of the world. Bureaucratic procedures in MENA and the costs associated with it that constrain private businesses are still very high relative to other developing regions. Corruption is also one of the key impediments to economic and business development in the MENA region. There is substantial evidence that corruption in institutions is a significant element in halting economic progress. Many leading academics believe that the prevalence of corruption decreases growth through its negative impact on human capital and private investment as well contributing to political instability. Others argue that the persistence of corruption is due to peoples’ weak motives to change the status quo and combat corruption even if they would be well-off under less corruption. Widespread corruption, for instance, hinders a level playing field for businesses and obstructs transparency and clarity in business environments. Similarly, cronyism, or the granting of special privileges based on relationships, distorts markets and competition. Favoritism and handing key positions in the government based on kinship and not on competency negatively harms the effectiveness of the government and its ability to achieve developmental goals. As mentioned earlier, doing business in the Arab world is far from smooth. Arab businessmen feature suffocating web of complex regulations, licensing and other institutional distortions, which are often unclear and inconsistent with the rest of the world. Even Morocco, a country that has liberalized its economy more than its Arab neighbors, requires more than 20 documents and over six months to register a new business”. This discourages investors to enter the market, which consequently dampens competitions and results in the amplification of inefficiency of the economy and the market. Moreover, the cumbersome bureaucratic procedures of MENA give rise to corrupt behavior such as bribery and favoritism based on kinship or close personal ties. A more likely explanation for the continued bureaucratic hurdles to doing business is the interest of elites in maintaining their power over capital allocation. Political authorities in contemporary MENA do not support private agents to establish self-governing enterprises and corporations or in other words autonomous juridical entities. This is because they fear that these may be able to buildup vast amounts of capital and increase their economic influence that accordingly leads to an augmentation in their political influence. This may pose an enormous jeopardy to the power of the autocratic rulers of the Arab World. Even to this day, most Arab countries have severe restrictions on the formation of limited liability companies, particularly restrictions on foreign investment. Autonomous business corporations can aid efforts to establishing a democratic regime because citizens can accumulate wealth and achieve economic progress away from the central authority, crony capitalists and connected families and without the reliance on their funds. This can potentially wane the ruling elite and allow for more power-sharing within the society. What’s more, the support for small and medium enterprises has the potential to build an educated emerging middle-class that is able to mount pressure for institutional reforms and political change. Hence, until today, people in charge in the MENA region are reluctant to spark off any major changes to the existing arrangements. If the existing institutional arrangements in the Arab world remain unchanged in the foreseeable future, economic progress that is inclusive for the Arab youth will face an enormous challenge.